There are a ton of cute ideas for Thanksgiving Countdown calendar crafts, but if you are looking for something a little simpler this year, try this cute kid friendly printable Thanksgiving countdown calendar from Family Fun. 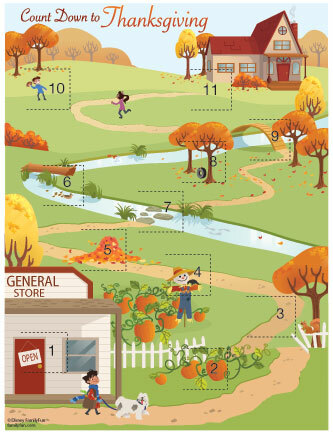 Behind each door is a fun activity to do as a family for Fall leading up to turkey day. If you want something more streamline, the Letter 4 made this free printable Thanksgiving countdown calendar that you can download over at Tip Junkie. You frame it and use a dry erase marker to write what you are thankful for each day. And if you are looking for a countdown calendar idea that is a fun craft for kids, use these printable leaves from The Activity Mom, write something you are Thankful for on each one, and have the kids make a tree to hang on one of your walls. 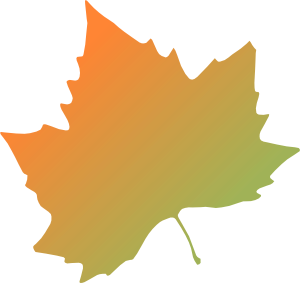 Each day you can choose one of the leaves to read together until the last leaf falls on Thanksgiving day.